As the Pueblo at Paseo wraps up construction, the first new build in the district in years has been met with strong demand with all nine of it's spaces pre-leased to a variety of tenants. 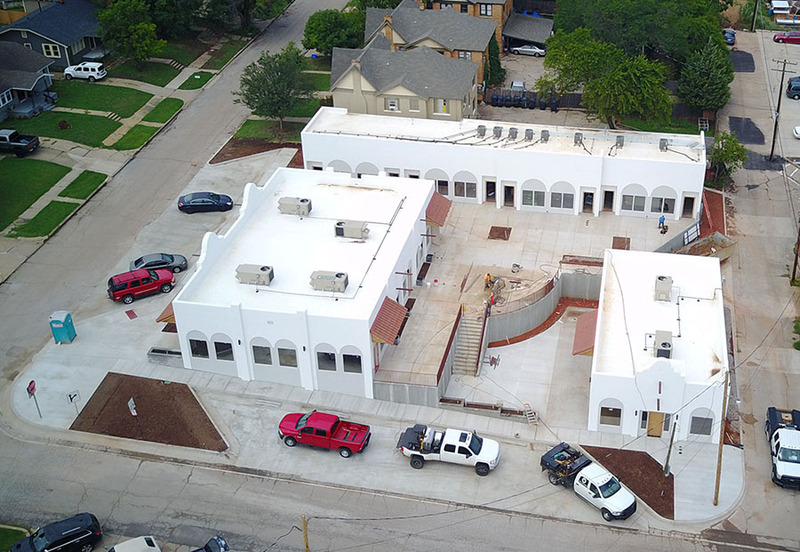 The design of the new complex by developer Jeremy Foraker takes cues from many of the Spanish-style buildings in the area, with 3 separate structures and a large central courtyard. Scratch Paseo, an off-shoot of the popular Scratch Kitchen & Cocktails in Norman, will be the first of 3 restaurants to open. The proprietor of Scratch, Brady Sexton, plans to serve what he described as the best cocktails in Oklahoma City, with a full bar program including house made sodas. 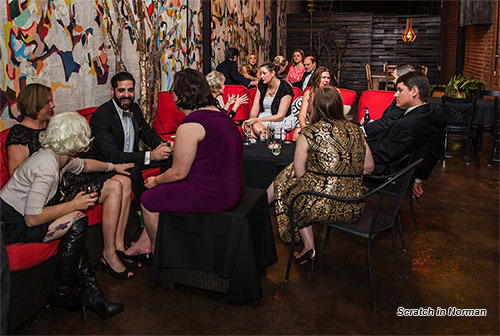 Sexton expects the menu to be 'smaller but more sophisticated' than the Norman location. In addition to a large bar in the center of the space, there will be an emphasis on the expansive patio. Hours will be 11AM to 2AM 7 days a week with the kitchen staying open until midnight. Sexton hopes to open by November 1st. Next door to Scratch will be a new breakfast concept being developed by veterans of the OKC restaurant scene. 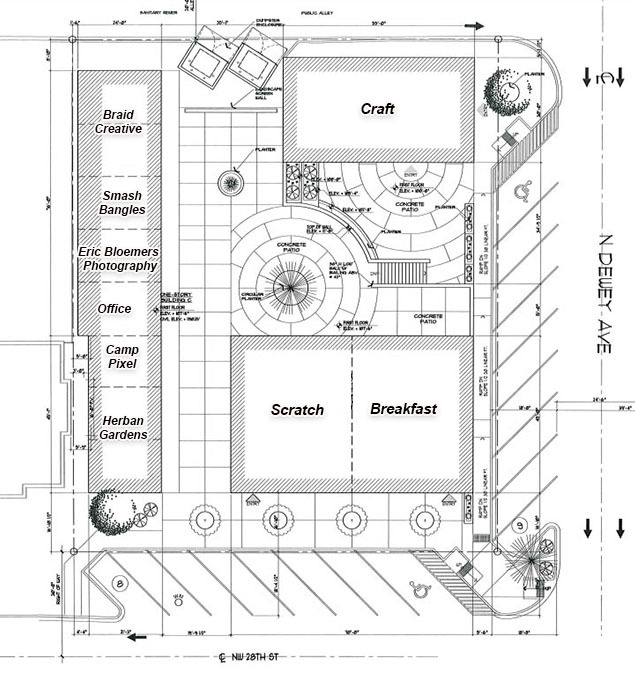 And across the courtyard will be Craft, a free-standing coffee and wine bar. All three restaurants will open onto the large 2-level courtyard with plenty of outdoor seating. In the west building, six more tenants are setting up shop. Braid Creative is taking two spaces on the north end. Smash Bangles (jewelry boutique), Eric Bloemers Photograhy, and Camp Pixel (design and animation studio) and an office tenant have also signed leases. At the south end is Herban Gardens, which provides non-GMO culinary herbs and produce that are all grown from heirloom seeds. All products are free of herbicides and pesticides. Interior finishes have commenced for most tenants with the first opening as soon as September. 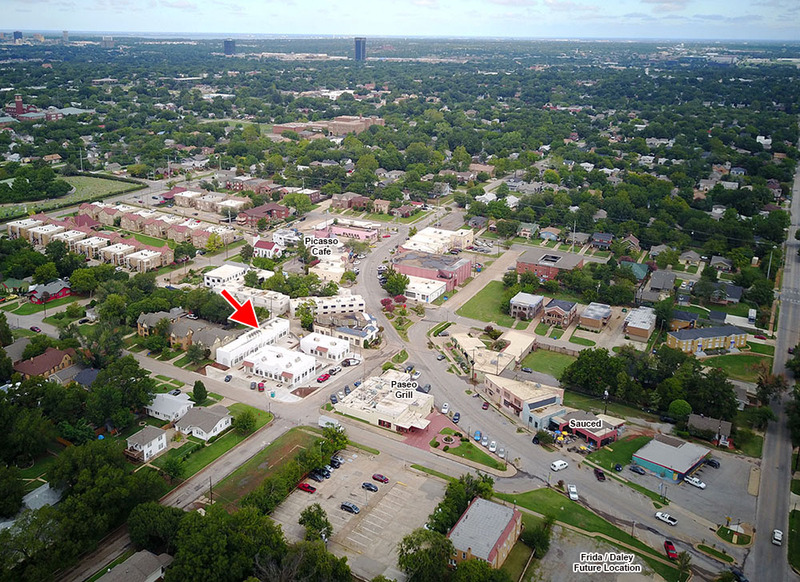 As OKCTalk was first to report, another new project will soon be starting in the Paseo, the restaurant Frida and bar Daley to be constructed on an empty lot to the east of the Pueblo.